Last week, we covered my top picks for Spring Skincare and this week we move on to beauty. This includes everything from lip balm to nail polish. I think this is a lovely time of year to make little changes in your makeup routine but not too many. The products that I have picked are ones that will see me through the next few months but are still quite subtle. There are just some days that I want glowy AF skin but not have to pile on a ton of products, this illuminator kills so many birds with one stone. I love mixing this with my moisturiser to give my skin some glow but it still says hydrated. 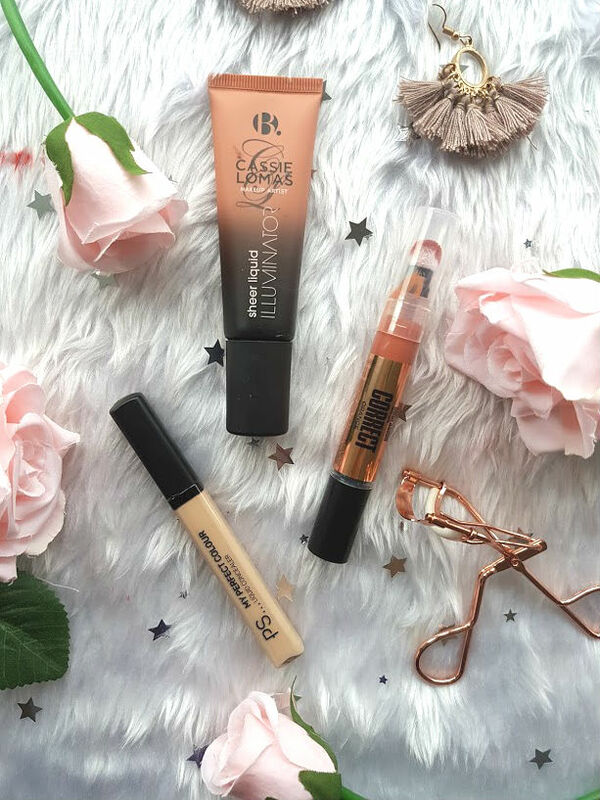 It also works well mixed in with foundation, double wear and this is a match made in heaven as it makes it so much lighter on the skin and gives it a subtle glow. The world of colour correcting has always interested me but it was never something that I dabbled in or dared to try but now I am low key obsessed. As someone with an Asian skin tone, I suffer with a lot of dullness and almost grey skin. I have been using this liquid corrector in the orange/red shade around my mouth area and it has made the biggest difference. My foundation and concealer looks so much more even and my skintone looks amazing, it is a bit of a faf to do the step but if it makes me look more even - I am not complaining. 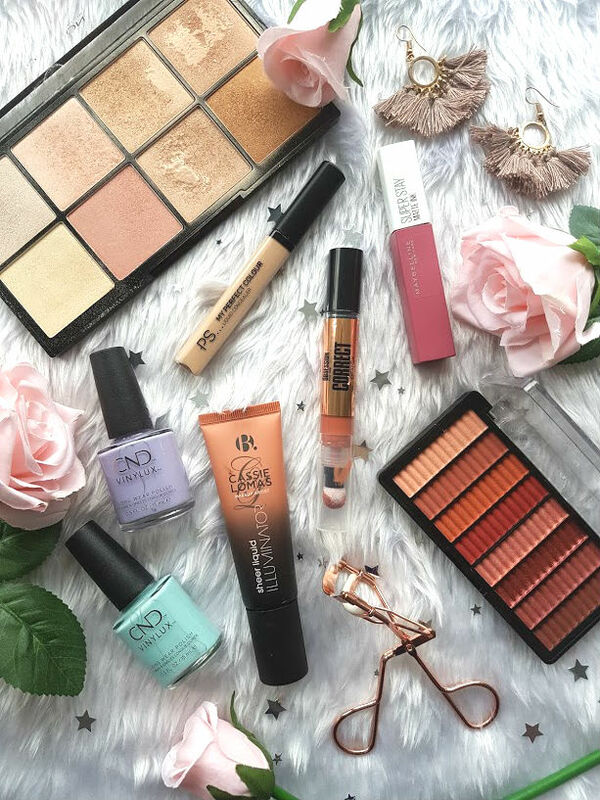 Primark beauty is always a winner with me and this concealer is just one of the many products that I love from them. The foundation hit the Internet a couple of months back as a dupe for double wear, I am yet to hunt that down but in the mean time found the concealer from the same range. This is amazing for under the eyes, it brightens, concealer and doesn't crease on me either! For the price, you really can't go wrong. When it comes to eyes in the winter I am so boring, but as soon as the warmer months hit, I am all about wearing eyeshadow and all that jazz. This petite palette hasn't been mine for very long but will be getting a lot of wear, espcailly in the evenings. 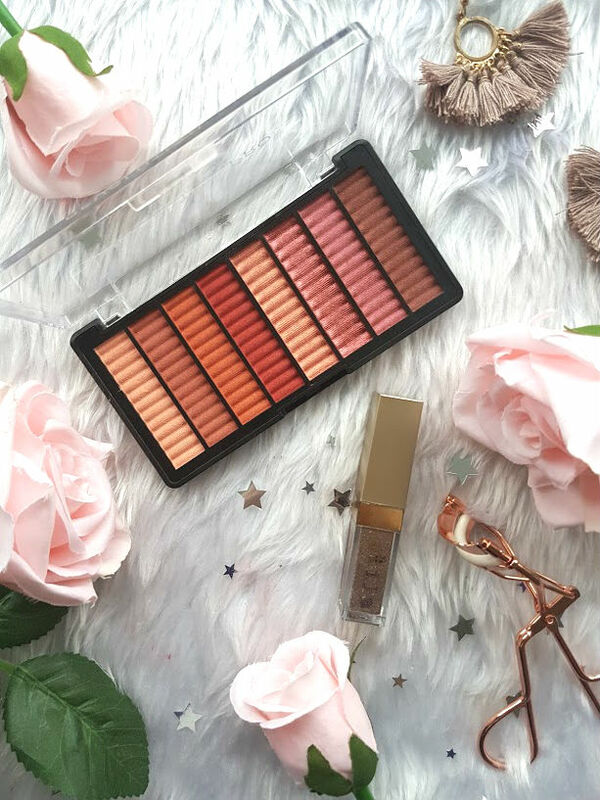 The colours are so warm and rich that they suit me perfectly and they are incredibly pigmented so one swipe of them is enough to wear and then run out of the house. I can't remember what my life was like before these, they are not only great all over the lid colours but make amazing little pops of glitter as eyeliner of in the inner corner. They are quite wet when you first apply but soon enough they dry down and leave you with a beautiful glittery look, I think if you're travelling then these have to be a staple for you - so quick and easy to use! This palette is an oldie but a goodie, one of my all time favourite palettes is this from Makeup Revolution. Each shade is buttery and so bloody pigmented that the tiniest tap on the brush is enough to give you such a blinding highlight. 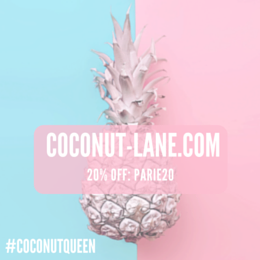 As we move into summer, its all about having glowy skin and that fresh look. Highlighter has to be the product that does both of them things and makes you look beautiful. A very random buy from Boots the other week but one that I am so glad I went for. This blush is the gorgeous in between pink and peach shade for anyone like me with a dark skin tone. It doesn't make you look flushed or too happy, it just adds a lovely bit of colour to the face. 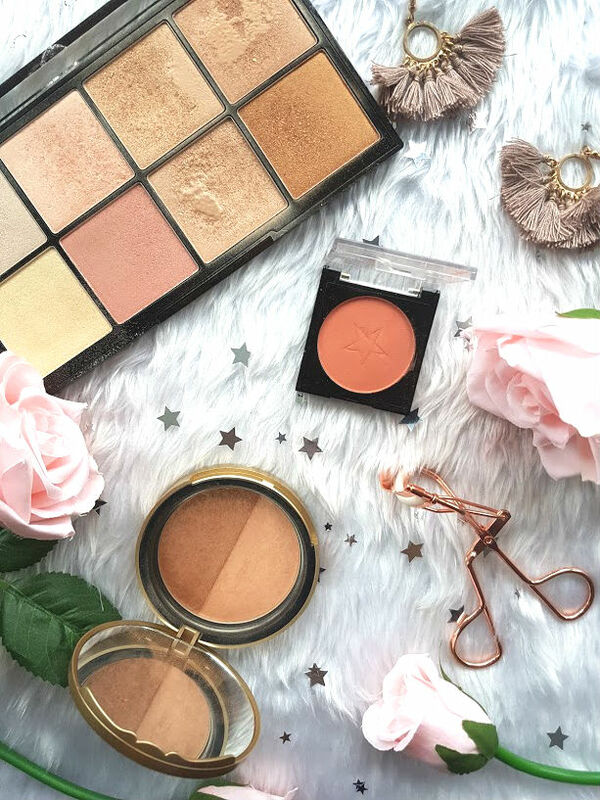 I hate applying blush and bronzer and highlighter as I can never seem to correctly apply it all but because this is quite sheer and easy to blend, it makes my life so much easier! Like I said, this post really does include everything beauty related. My lips are never usually ones to be really dry at this time of year but lately they are horrible, all peeling and flaky. I struggle to apply lip balm constantly because I love lipstick so much but this cocoa butter balm smells too good not to apply. I keep this with me in my back and at every opportunity, apply a bit to my lips. 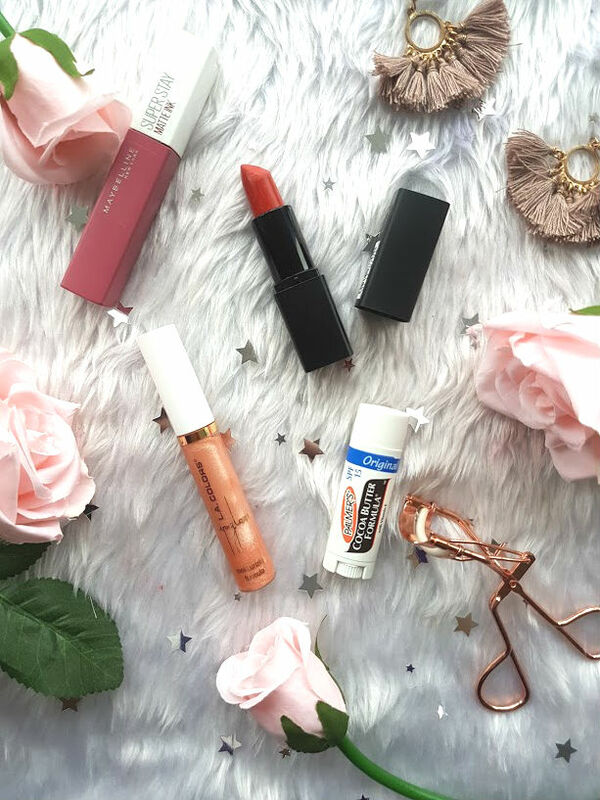 This year will be the year that I get more into bright lips, but I think it all comes down to the formula and this B. lipstick might just be a game changer. Its a sheer formula but when applied layer upon layer it does become more potent. This shade in particular is a red but more on the orange side, which I never thought would be my colour but I am in love. These have been all over my instagram recently and rightly so, the formula is incredible. It is such an easy liquid lipstick to apply and it stays on the lips through everything, including dessert may I just add. They are really expensive though, £9.99 for a Maybelline lipstick seems ridiculous to me but I would pay it again for another one in a different shade because they are incredible! I do not care if the rest of me looks a state, my nails have to look the part. 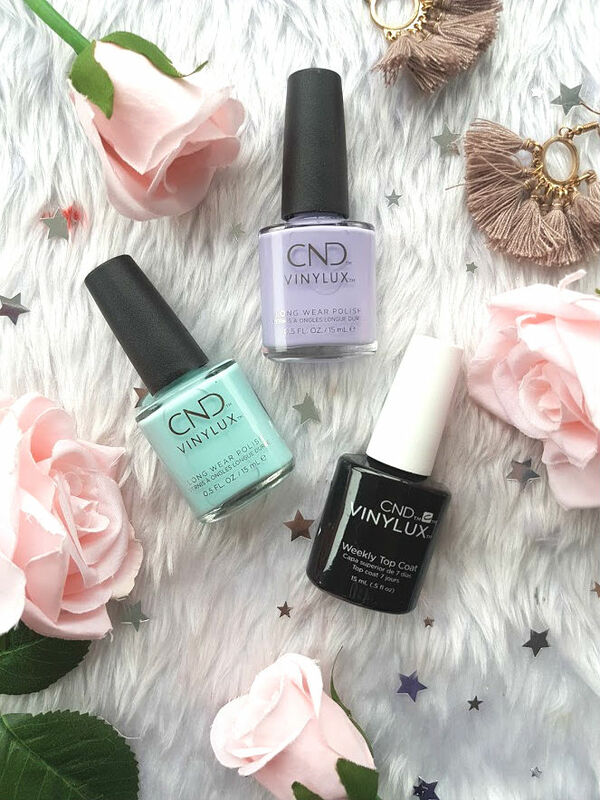 The Vinylux range from CND is quite magical, they are a brand that I have always known for their shellac colours and the range that my nail lady uses on me. But this range from them is slightly different, you still achieve the long lasting, shiny effect of a shellac but there isn't a need for a base coat, top coat, gel lamp or the extra long waiting times in between. The Top Coat actually contains a light-sensitive polymer technology that increases its chip-resistance and durability. The colour and top coat apply just like a normal polish but just have much better longevity and who doesn't want that with their nails? These two shades are ideal for the spring time as they're pastel, light and very easy to wear. I currently have the lilac one on my toes and its the perfect toenail shade.